Disneyland Paris refused to let a three-year-old boy take part in its “princess for a day” experience because he was not a girl, his mother has said. 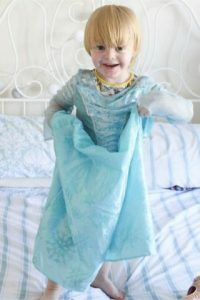 Hayley McLean-Glass, from Paignton in Devon, said her son Noah was “buzzing with excitement” when he found out that the theme park offered the chance to dress up as princesses, including Elsa from Frozen, but when she tried to book via email she was told that the activity was not for boys. “If there was an activity such as a pirate dress-up or a Spider-Man event, little girls would be allowed to do it,” she told ITV News. Ms McLean-Glass said that Noah was obsessed with the 2013 film and liked to wear his Elsa dress at home “from the minute he gets up until the minute he goes to bed”.